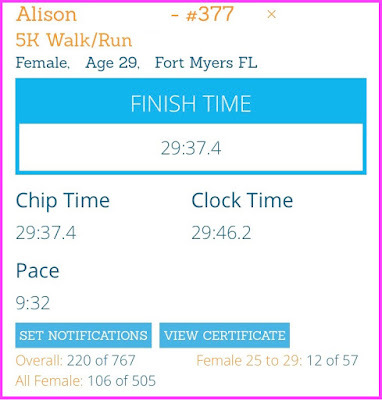 It's been awhile since I've raced a 5k; it's been even longer since I truly trained for one. I signed up for this race months ago when I made the decision to focus on short distances and speed. I was a little nervous getting ready this morning. Since running 20 last weekend, my left foot has been a nuisance. It doesn't hurt when I stand on it, but lifting it hurts. The pain is on the soft, outside part. Anyway, I didn't run all week, and my foot was feeling mostly better during the day, but every evening after being on my feet all day at work, it would start to ache again. I decided that if my foot really bothered me during the race, I'd give up on running the full in February so that I could truly rest it. I originally went in with no goals because of the pain, but was secretly hoping that I'd be able to break 30, which is always my fallback goal. 47 degrees at 7:30. Thank you, Florida. Matt and I got to the race about 45 minutes before it began, which was more than enough time to pick up our bibs, use the bathroom, and walk to the start line. I have to say, I'd forgotten how low-stress 5ks are! No fueling to worry about, no need to carry a million things. I knew that even if it hurt, it would be over quickly, and that was a great feeling. 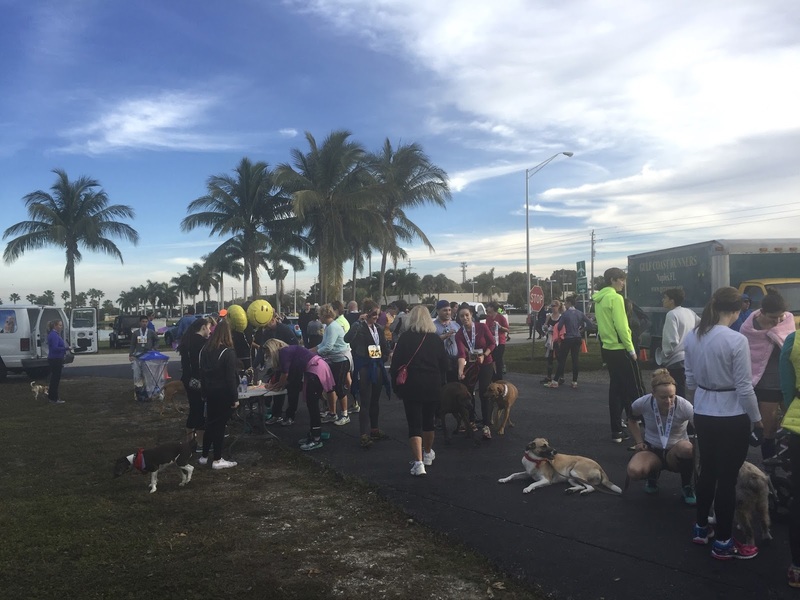 The staging area was packed with dogs; they all got special bandanas to run in. It was very cute! The race began at 8am, which I originally thought would be too late, but ended up being perfect because we've still got winter weather here! After a pretty unorganized lineup and very little warning for the countdown, we were off! 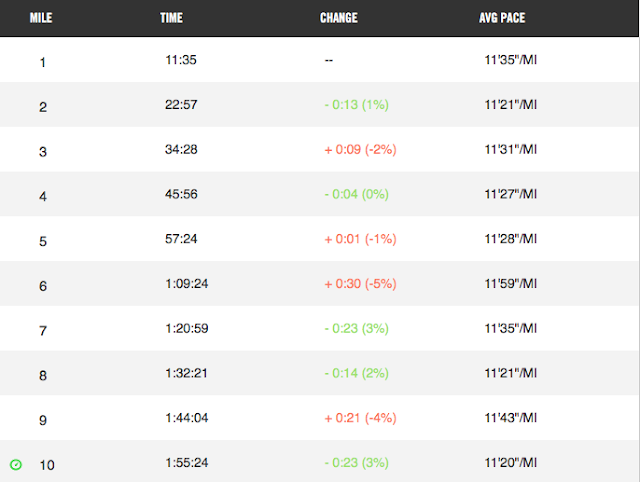 I took off pretty quickly in the first mile, and .25 in I realized I was pushing a 9:06 pace. I back off marginally; I felt good, but I didn't want to burn out. My foot was uncomfortable but not painful. In a way, it felt like I was stretching the tender spot, which felt nice. The course was a simple out-and-back around the airport grounds. Around 1.5 miles in, I started to see the leaders coming back. I was impressed to see my pace staying steadily in the 9:30s; I didn't feel like I was really pushing it much, but I didn't know how hard I could really go without burning out, so I stayed there. My finishing sprint was in the 8:50s. 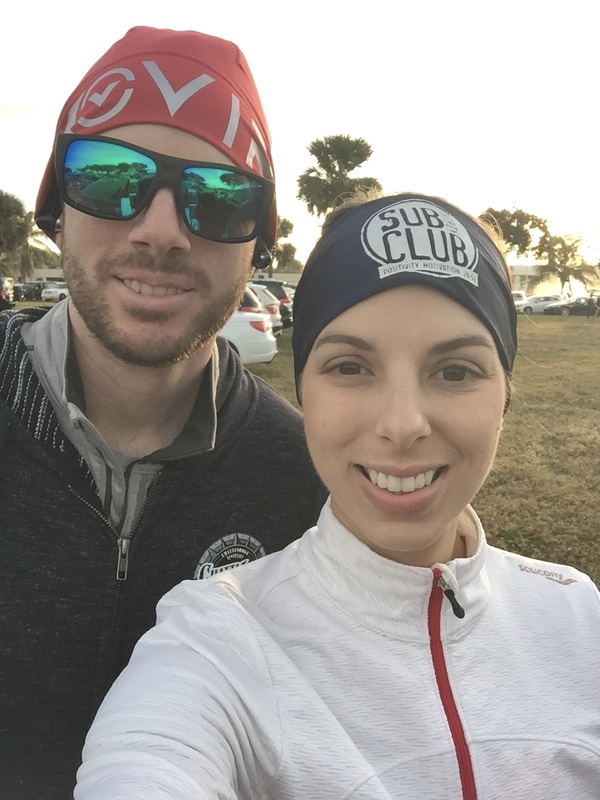 The 9:30s ended up being comfortable and just challenging enough; I could have probably done the last mile in the low 9s, but because I'm out of practice with 5ks, I didn't want to take the risk. Considering I've been in the 10s and 11s for awhile now, I was really pleased with my performance. The volunteers were really great. We've had a lot of rain and flooding, and they made sure to point us toward the dry parts of the paths when necessary. The finish snuck up on me. I finally pushed the pace and passed a girl I'd been watching the entire race with a quarter mile to go, but still didn't really dig in for a sprint until the last tenth or so. Matt got a couple pictures at the finish. Matt had finished ahead of me in 25:37 (his chip got messed up and at first clocked him at 30:11, but we got it fixed) and met me at the finish. My time was 29:37. I was really pleased to have felt strong and consistent the entire race and to finish in under 30. Originally the results said I placed 8th, but Matt's wasn't the only chip to get messed up. These are the official results. It's no top 10, but it's not too shabby! Because this was a 10-year anniversary race, they had finishers medals! 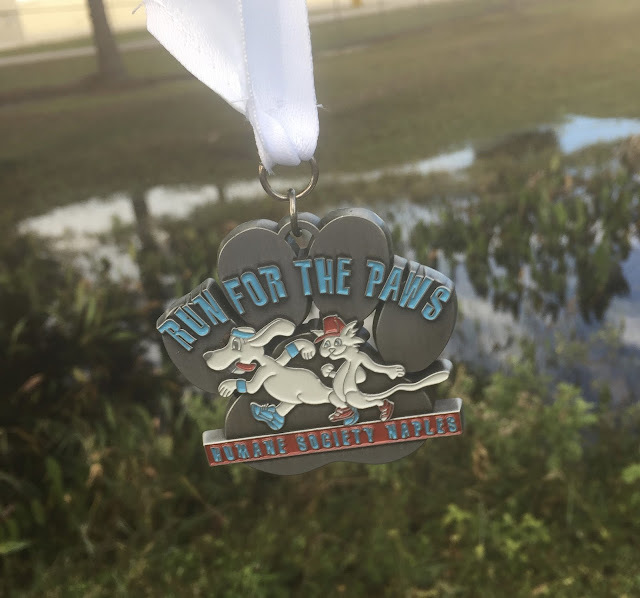 I used to be a little bit of a snob about medals for 5ks, but I've gotten over it; in fact, one reason I chose this race was because of the promise of bling! My first medal of 2016! 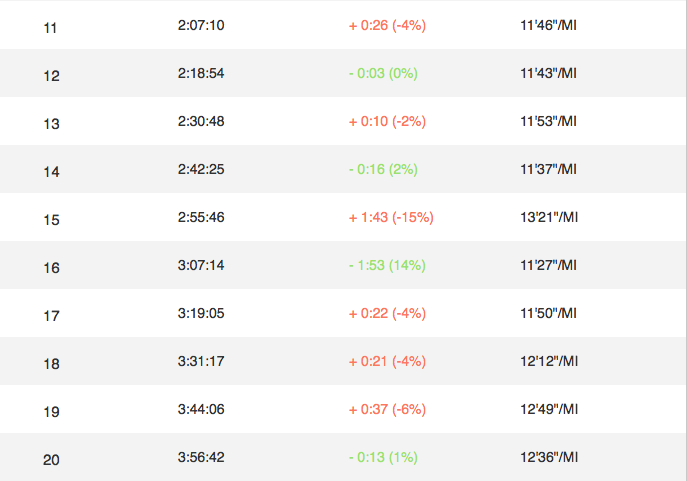 I'm happy I ran it, and I reminded me how much I do love shorter races! I'm excited to do more this year; this one will serve as a baseline for the rest. Finally, depending on how my foot feels, I'll be continuing a normal taper for A1A (15 miles this Sunday and 8-10 next Sunday). Fingers crossed. I'd like to have the choice - I don't want an injury to make the decision for me. PS: As of Sunday morning, I've skipped that 15-miler. My foot feels almost normal; I think a couple extra days rest is called for, and then maybe it'll be totally normal this week! 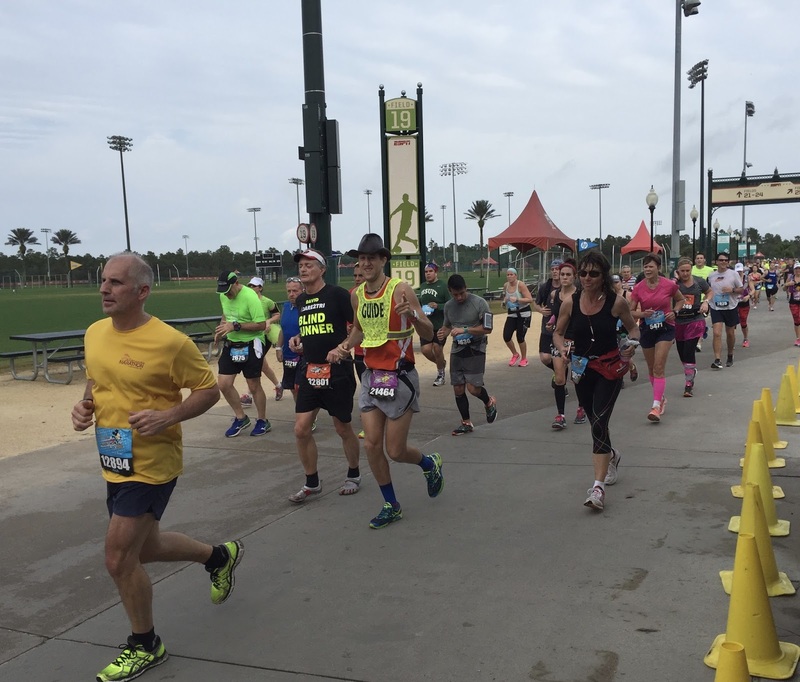 When's the last time you ran a 5k? 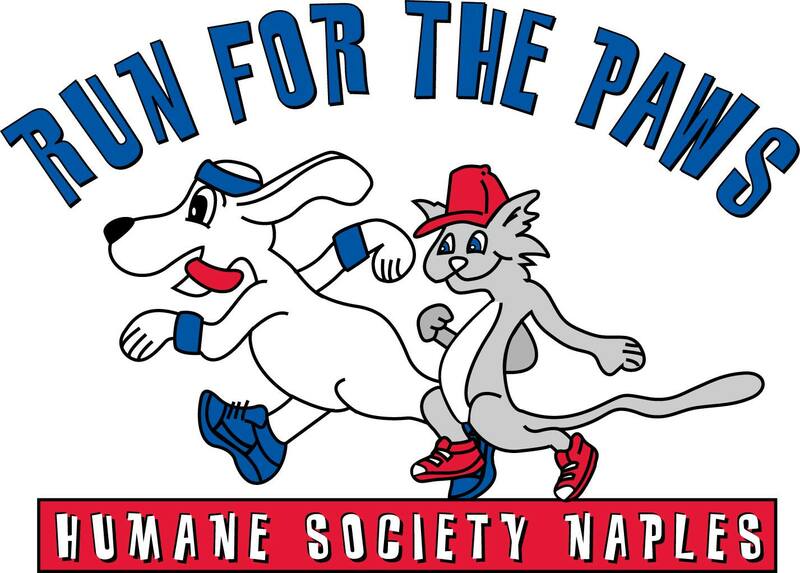 Do like races that allow dogs? 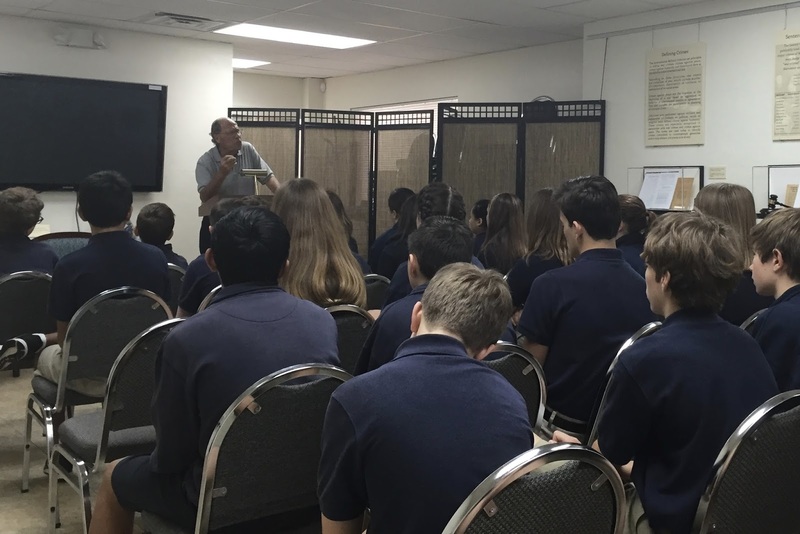 Florida has many faults, especially when it comes to education, but I am proud to work in one of five US states that has mandatory Holocaust education built into the curriculum. From Wikipedia. 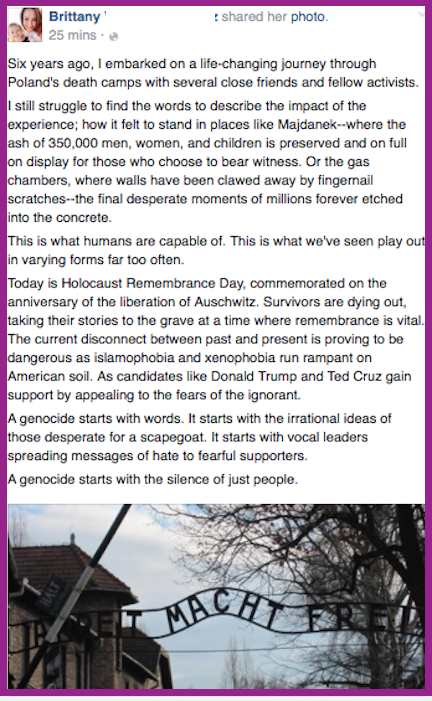 Here is our very wordy "standard" for teaching the Holocaust. For once, Florida got it right. Every January, I scrounge the news for new things to add. There's always something: an aged Nazi, discovered after all these years, that people feel conflicted about putting on trial; graffiti on a Jewish cemetery; rising anti-Semitism in Europe. There are feel-good stories, too, but only on days like today - International Holocaust Remembrance Day. I undertake this unit with the gravity it's due, and I am never disappointed in the change I see in my students afterward. This year, I had my friend Brittany (who has worked for a decade with refugees in war-torn countries and who has studied the Holocaust and visited the death camps in Poland) come speak to my students to help introduce the unit. We walked through the timeline of events. We discussed how and why Hitler was able to obtain power. And we took our annual visit to the local Holocaust Museum. We are very lucky - old people retire to Florida, and those old people include survivors of the Holocaust. 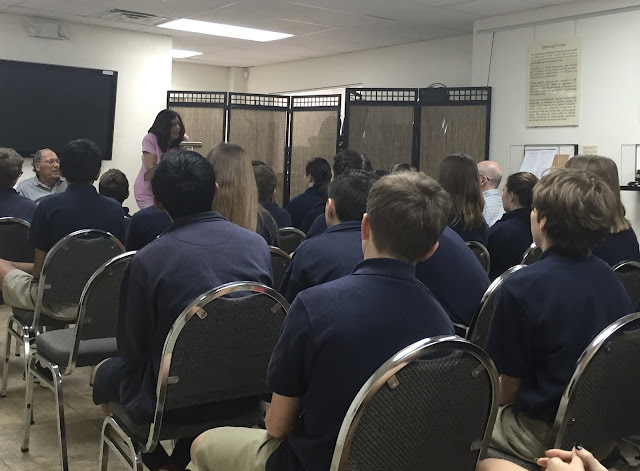 The museum was started by 7th grade students as a project, and now it's filled to bursting with genuine artifacts and photos donated by those survivors. Many of them come to speak to visiting classes. Students listening to the toured section of their trip to the museum. Every year, we hear at least one survivor speak. In 2014, a survivor named Abe Price shared his testimony with us (he was truly the gutsiest man I've met - his story of escape and survival is awe-inspiring), and he passed away two weeks later. We were the last school he ever spoke to. My students, grief-stricken, organized themselves, convinced their parents, and - without my knowledge - attended his funeral. They did it on their own. I still choke up thinking about it. They made me so proud. You can read about Abe's story here. It's truly amazing. This year, my kids had the chance to hear two speakers: Jacques and Sabine van Dam, who were both children in hiding at the time of the war. Jacques avoided capture; Sabine and her family were discovered and sent to a transit camp. 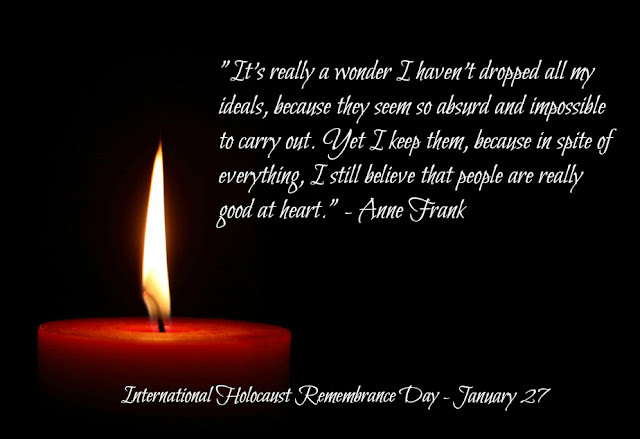 From there, her parents were sent to Auschwitz, and then on to Bergen-Belsen, where they did not survive. It's hard to look at 8th grade students and know if something has impacted them. They usually initially hide any emotions with bravado and off-color jokes. The day after the trip, I gave them ten minutes to write a reflection of their visit to the Holocaust Museum, and I allotted twenty minutes to discuss questions and reactions. In all my blocks, we spent our entire 90 minutes talking. This is why I teach. I see the dawning realization in these young people that the world is cruel, and that they have the power and responsibility to fix it. To make it better for the future. Their absolute confusion about how people can be so ignorant and hateful is refreshing. All of this is a lead-up to our reading Elie Wiesel's Night and watching various survivor testimonies. All of the instruction is linked to reading, but it's about so much more than that. It's about helping students to become empathetic, tolerant citizens. I see it everyday. It makes me realize the world isn't all bad. I know we see so many terrible things in the news these days, and we're facing a terrifying election season this year, but I truly believe our young generations are so accepting and progressive that we really do have a bright future. So the silver-lining of teaching about such a difficult, painful topic? I get the satisfaction of watching them learn and grow and think and question, and I get to see the hope for our future right in front of me every single day. 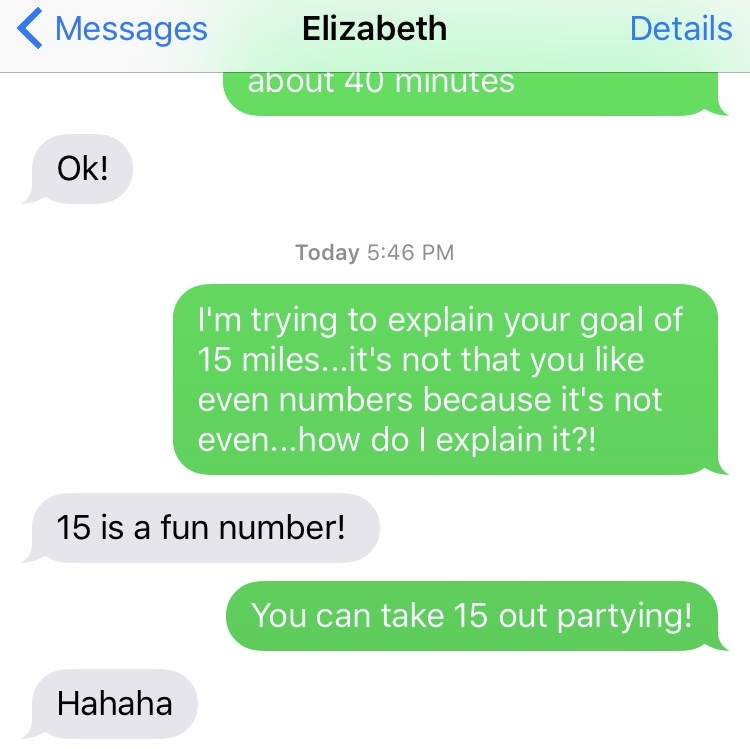 Elizabeth's original goal, once she started running with me more frequently, was to run 10 miles. 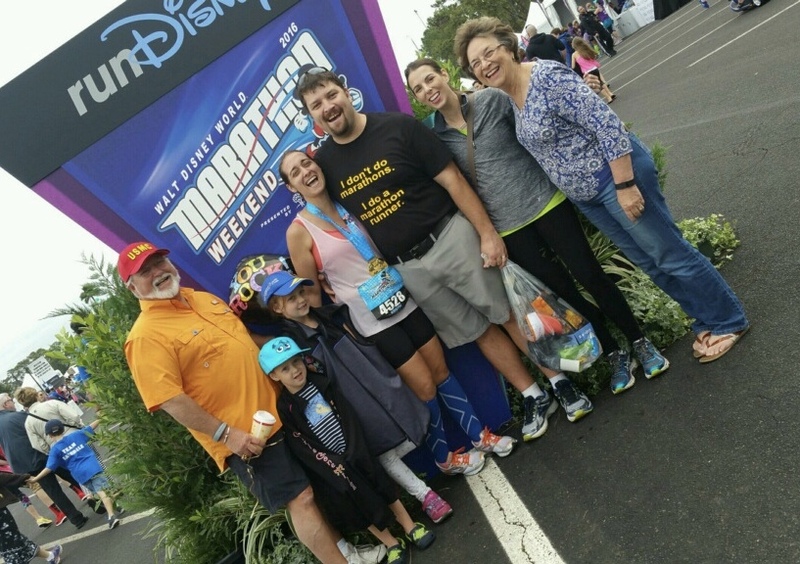 Then, she learned her brother had once run a half, so then her goal became 13.1. But she actually wants to run longer than her brother, so she's revised the goal to 15...because 14 isn't good enough. 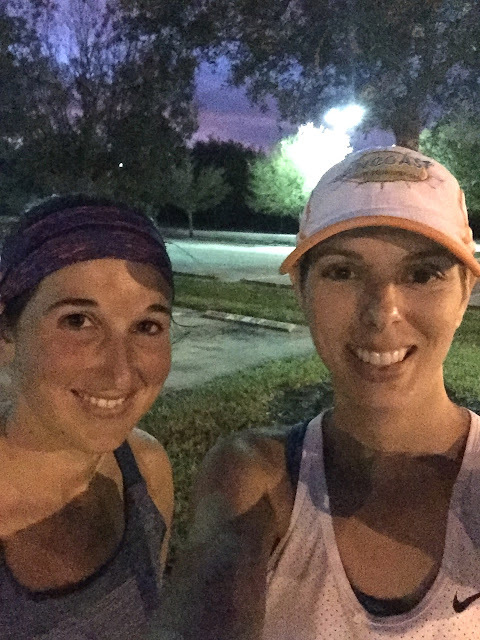 She'd like to run fifteen miles...just because. (I'm still trying to convince her to run a race with me.) I tried to explain to her that running such a long distance without a reason is crazy. But then I went out and ran twenty miles today and I haven't really decided if I have a reason, so who am I to talk? This week, after suffering some ankle, shin, and quad cramps last week, I only did two weekday runs and I kept them shorter. The weather has been gorgeous - cold and dry (when it's not storming...I mean, maybe not dry, but not humid!) - so my paces have been picking up, but this week felt like a rest week. I knew I had a possible 20-miler on my schedule, but I literally played it by ear until I woke up Sunday morning and realized I was going to really do it. Spoiler alert: I did 20. 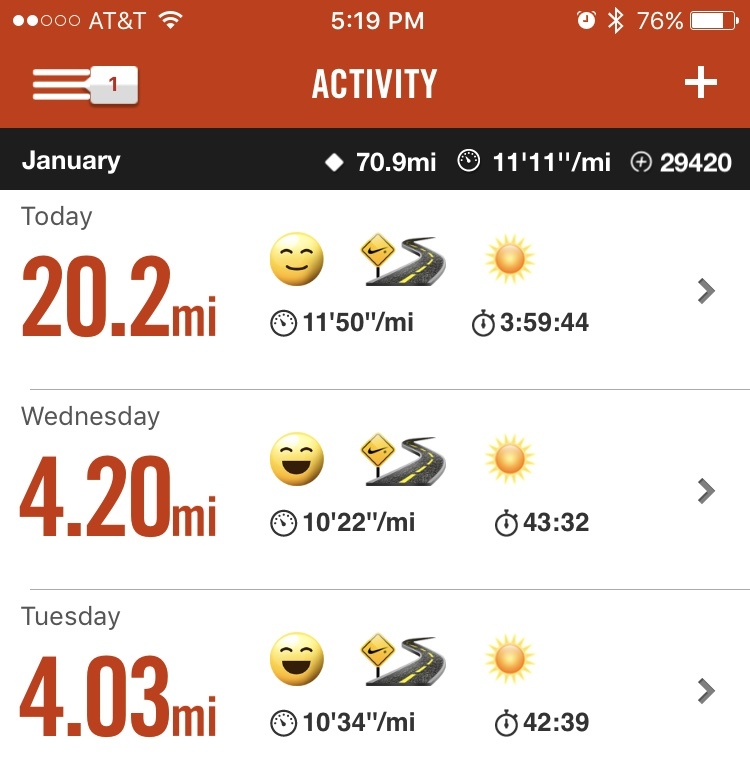 Also, this is my highest-mileage January ever. This was new for me. For all my previous very-long-runs, I mentally prepared all week. Training builds me up to the distance so that I'm flirting with the idea of 20 for ages before it happens. Not this time; this time, I barely thought about my weekend run until Montana made it to town Saturday evening and sealed the deal. 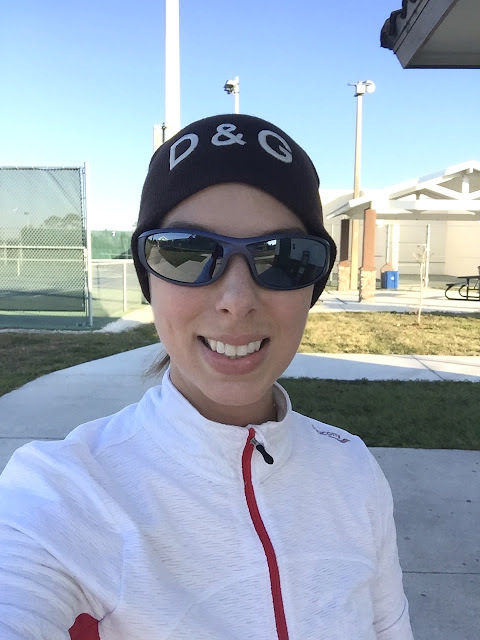 I had to actually breakout cold-weather gear for this run: gloves, capris, long sleeves to layer, and a hat. For the first ten miles, all that was absolutely perfect. I ditched my top layer after that point and was able to take off my gloves and hat by mile 15. I was sure it was in the 70s by the end, but it was only 52! Funny how our bodies warm up and play tricks on us. Mile 6.5 - chilly and loving it! Anyway, the run went well. Montana and I kept a steady pace (we aimed for 12:15 but both felt comfortable in the 11s) for the first half and only took brief walk breaks to fuel. I actually didn't eat or drink anything in the first eight miles. 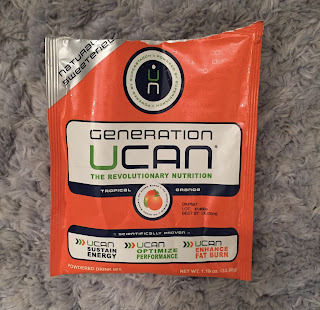 I tried UCAN for the first time this morning and it worked very well; I had steady energy the entire run and never felt like my hunger got out of control or distracting. Okay, this stuff is THICK and not the tastiest, but it's not bad. And most importantly, it seems to do what it says: provides sustained energy without any crashes. I didn't crave a Coke at the end of this run because I didn't need the sugar! I also fueled with Glukos blocks and gels this time around because Gu has been giving me heartburn. 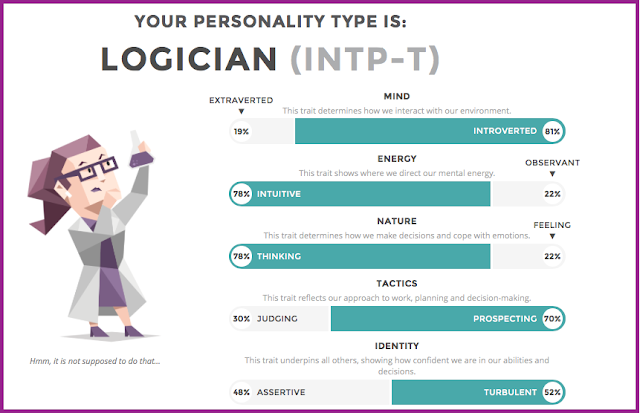 I liked the results! I didn't use "auto-pause" this time, so bathroom and fuel breaks show up (mile 6 specifically). I like the honesty. At mile 10, Montana traded places with Elizabeth. She and I continued on. At mile 11 or so, Kristin came out to greet us, but despite being dressed to run, she bowed out. Too cold! Montana and I at mile 10. Does anyone look good in a beanie?! We had to pause at mile 15 for a bathroom break; I didn't stop my GPS so that mile's split is an outlier, but at least it's honest. At this point, I was developing a pain in my left arch/outer foot. I decided to press on because we'd already turned around and there was nowhere to go but back to the car anyway. 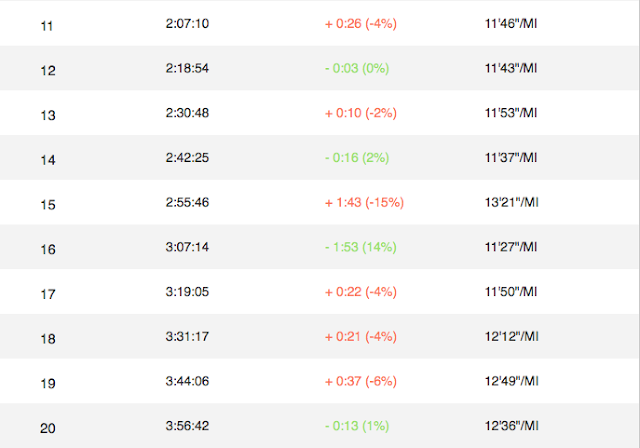 Another extended stop at mile 15; you can see I was struggling at the end. It was all about my foot - my energy felt fine. PS: even without auto-pause turned on, this was my fastest 20 yet. Around 16 we began taking short walk breaks every .75 or so. My foot was killing me and my hips weren't happy either. Maybe I jumped up to 20 too quickly, but now I'm tapering - or something - so I have time to let it all heal. 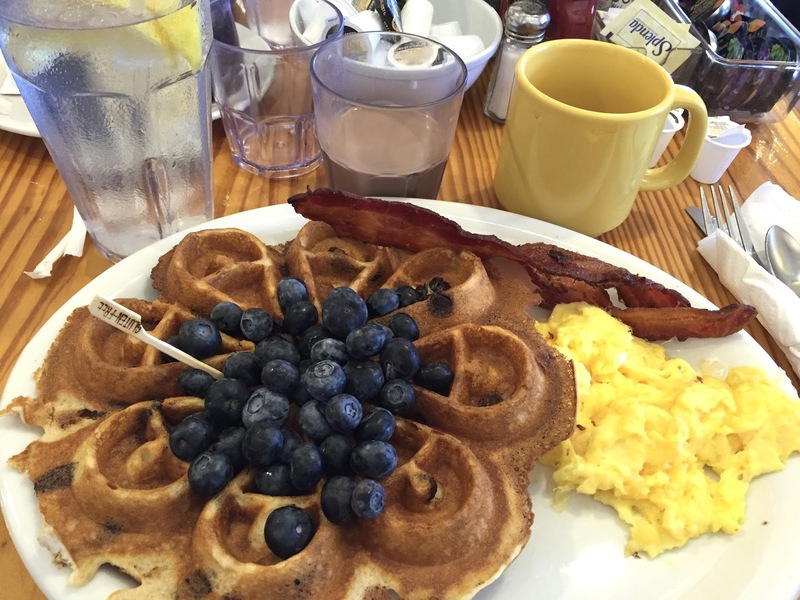 Of course, no long run is complete without a fantastic breakfast. Montana and I went to Skillets afterward; I had chocolate milk, coffee, a GF chocolate-chip and blueberry waffle, cheesy eggs, and bacon. Now that I've done another 20 (which, if I'm being honest, I had my doubts that I would actually do), I can make a better decision about A1A; the choice won't be made for me by lack of training, anyway. So now I'm tapering for a marathon, or I'm continuing training for a half. For me, that boils down to six-of-one, half-dozen-of-the-other. My mind is there for a marathon, and my body feels like it can do it, although there was pain today, but I'm not sure if my heart is there yet. Part of me is scared. I don't want a repeat of BDR. Part of me just realizes that marathons hurt and I'm not sure how badly I want to go through that again so soon. There's no rush to decide, but now that this long run is done, I have a feeling I'll be thinking it over. A lot. Any tips for treating soft tissue pain on the outside of my foot? It feels bruised and hurts to walk. Do you need to mentally prep for long runs? When you're not training for something, do you still run long-long (not just long)? Sometimes, I wish I had named my blog something a little more specific to my running talent, or lack thereof. Names like "Average Runner" or "Mediocre Runner" cross my mind. And of course, this is in no way a dig at people who see my paces and think they're "fast", because I've written ad nauseum about how "fast" is relative. But I'm an honest person, and I know that I'm not particularly talented when it comes to running. Not naturally, at least. The other day, I read this article, and this line really hit home: "I’m not used to being so passionate about something I’m not good at." It's just human nature to feel passionate about things you're good at, isn't it? And if you're passionate, you work hard and you improve! But for many of us, running isn't really one of those things. We can work and work, yet there's still a threshold we can't seem to cross. I'm not really that good at running...but I sure do love it. I'm used to loving things partly because I'm good at them; most of my hobbies are talents that come easily to me. 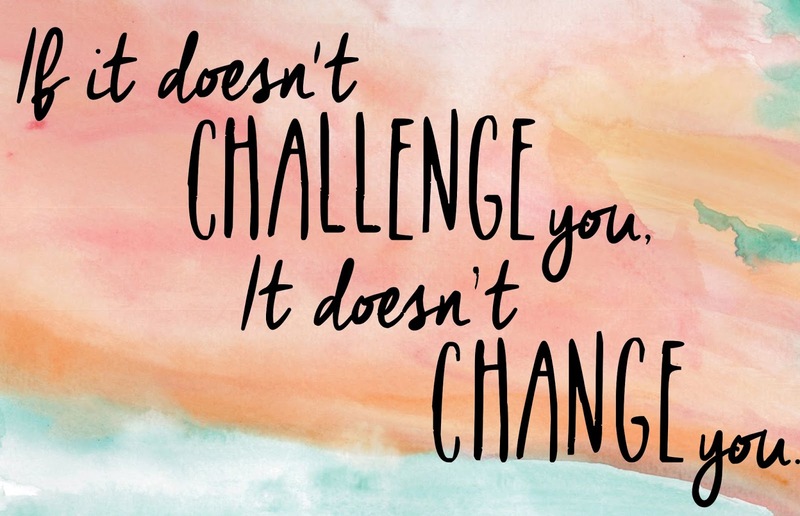 Running is a challenge every single time, and that makes it a totally different kind of a passion. I don't love it because I'm good at it; I love it because it challenges me, and each run allows me to feel empowered because I'm beating the odds just by being out there. This year is my year of speed, and I intend to find a new comfortable pace that is (hopefully) back into what I consider fast for myself, but I'm also perfectly happy to be honest about my abilities. Do you have a passion for something you're not particularly good at? It's funny that a week or two after taking the test, and shortly after sharing my post, I saw this post on SciBabe's Facebook page. I watched the video (after sitting through an excruciatingly long commercial for the Squatty Potty) and found it really interesting. Don't let the name fool you - Yvette d'Entremont is a legit scientist. 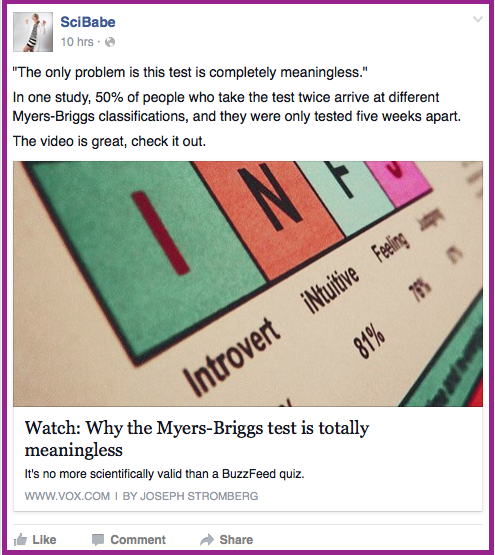 The argument is that the MB test is totally pointless. Scientists and psychologists agree that the results tell us very little about what we're actually good at (career-wise) and the methodology is based on pseudoscience. 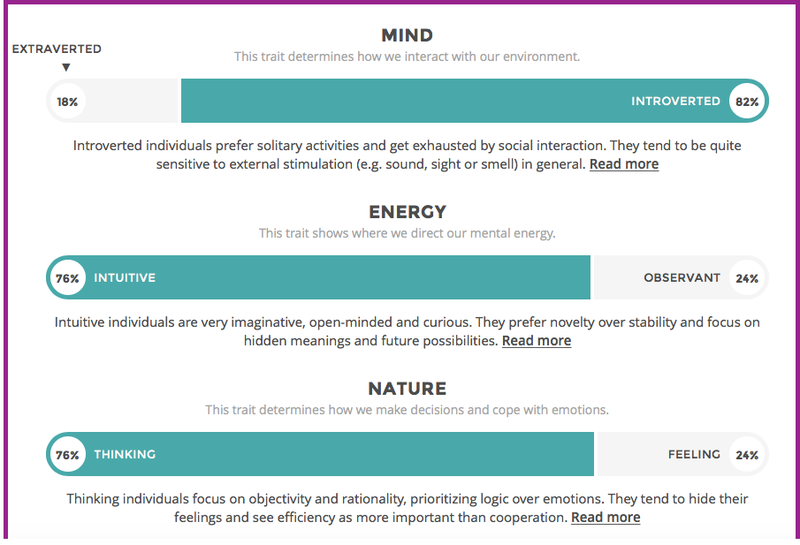 Having taken the test mostly for fun, this doesn't discourage me. But it does make me wonder about people who take the tests really seriously. 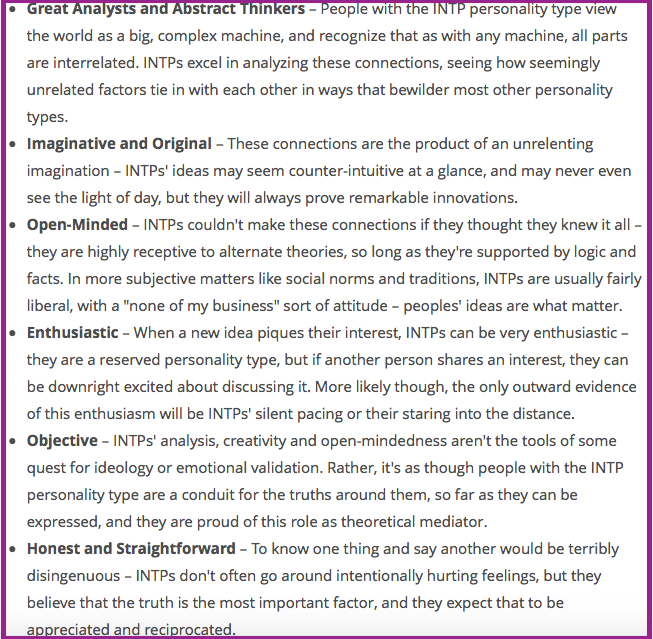 And it also made me think of Hanna, who mentioned in her comment on my original post that tests like this determine what we prefer but not really how we act - and if how we act is who we are, then really, preference is a moot point. I thought this was a fun addition to my self-exploration, so I wanted to share! I still think my type's description was accurate in describing me, but I was never planning to let that type truly define who I am or the actions/careers/decisions in my life, so I guess it was a fun 10 minutes wasted, and now I can go on my merry way! 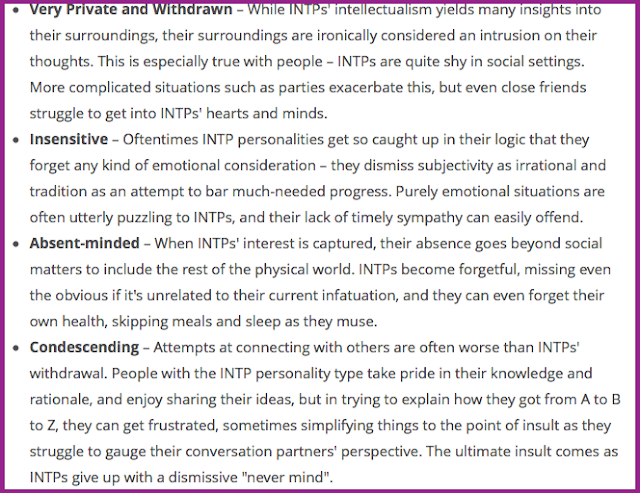 I know some of you took the test after I posted about it. What are your thoughts? Do you buy into the MB test, and tests like it? Do you like science? I always say, if I hadn't gone into English, I would have majored in biology. It's my second love. There's no rhyme or reason to this post; there are a few things swirling around in my head right now, so today HtGR is going to take on a diary-esque feel. Sometimes I just need to let a brain-dump happen! 1. I have no shame about being completely and totally devastated by both David Bowie and Alan Rickman's deaths. When I first heard about Bowie, I immediately went into denial mode, and since Sunday I've been listening to his music nonstop. Growing up, my siblings and I watched Labyrinth literally hundreds of times - anytime my parents had a date-night, that was the movie we put on. Of course my parents were big fans of his music (our first dog was named Bowie, in fact) so he was a big part of my childhood. His willingness to try new things and test boundaries was always something I admired, and his artistry is unmatched in the musical world. Likewise, Alan Rickman has always been a favorite of mine. I was in the middle of teaching when I received my sister's text that he had died, and I literally stopped mid-sentence (this is the one con of wearing an Apple watch - I got the text and saw it immediately, rather than waiting to check messages at lunch like usual) and had to check for confirmation. The nuance in his acting in everything I have ever seen him in was just brilliant; I'd forget I was watching an actor, even though I loved the actor, and that's really the highest compliment I can pay. Of course, he also brought one of my favorite book characters to life as Severus Snape - that's one complex and complicated character, and he portrayed Snape convincingly, honestly, and compassionately. I love watching Rickman play conflicted characters - his role as Harry in Love, Actually is simply gorgeous. He brought a lot of depth to a movie that is, at its heart, just a rom-com. My biggest gripe about the HP movies is their casting - the older characters (from Harry's parents' years at Hogwarts) should have been in their 30s. But I could forgive the mistake with Rickman, because he was literally the perfect Snape, even if he was twenty years too old. More importantly, Rickman was an outspoken feminist and activist. As wonderful an actor as he was, I appreciated his character - not those he played - the most. 2. We've been having July weather in January this year, and for us, that means hurricanes (or hurricane-like weather). Florida isn't known for tornadoes, but we've had those, too. Our district announced that Friday would be an excused absence for any students who missed school because the weather looked bad, and sure enough, school was interrupted twice for tornado watches. I guess those drills we practice paid off; our kids were well-prepared and the teachers kept our cool. One of our most popular half marathons was canceled due to the storms...this is the race course right now; it's completely submerged. One tornado hit thirty minutes from us, and Sunday morning four hit my parents' city. They're okay, and so are Matt's parents, but there were casualties and our most famous beach was hit pretty hard. We don't get these kinds of storms in winter. It's disconcerting, to say the least. 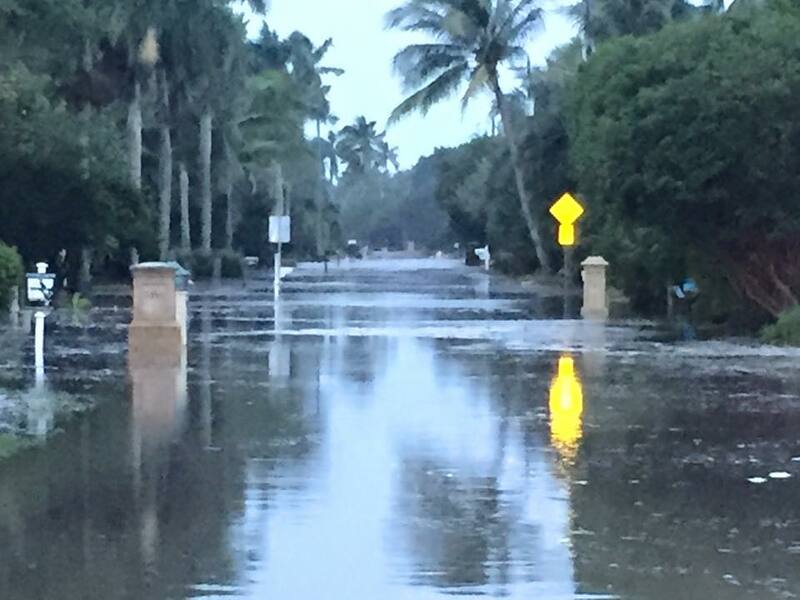 Midway through my run, I tried to figure out where my mind is on A1A. I know I don't have to decide yet, but next weekend is my 20-miler, so I need to at least decide if I'm interested enough in possibly running the full to do 20. If my leg feels like it did today, I don't think I will; it was not good. But if I can rest and recover nicely this week and nail my 20, then the full is still a possiblity. Why do hats make me look so weird?! Anyway, Elizabeth conquered her longest run ever: 9.1 miles! It was weird to start this run at 3pm. I'm definitely not a fan of evening long runs. 4. 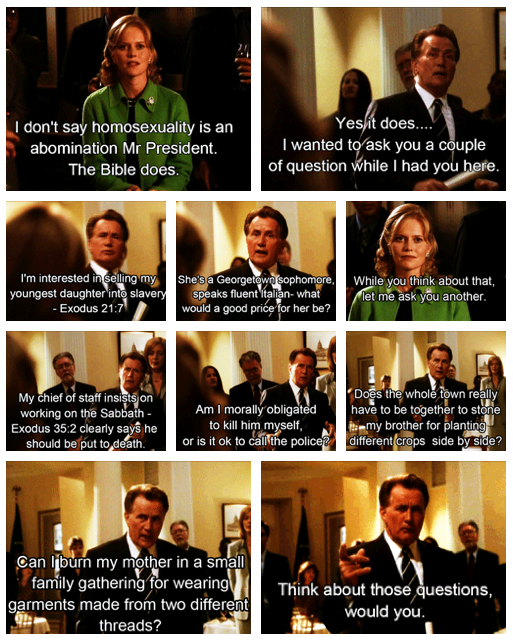 I've been binge-watching The West Wing this weekend. I was going to watch Labyrinth but Matt wanted me to wait until he can watch, too, so instead I chose another old favorite. TWW reminds me of my dad; watching it with him was what introduced me to politics, and I always liked that it was something we shared. I love that, despite being 10 years old, this show was so on-point! It covers abortion rights, Islamophobia, war in the Middle East, gay rights, mandatory minimums, assisted suicide...you name it...and it's funny! I guess it just goes to show that politics is always the same old argument rehashed over and over again. 5. It's been cold. Finally! I hope it lasts! Any tips for my leg situation? There is, honestly, nothing better than being there to watch a friend accomplish something totally amazing. To watch them overcome obstacles, stretch their limits, and realize their true abilities. Okay, maybe there is something better...feeling like you had a hand in helping them to get to that life-changing moment is pretty freaking great. 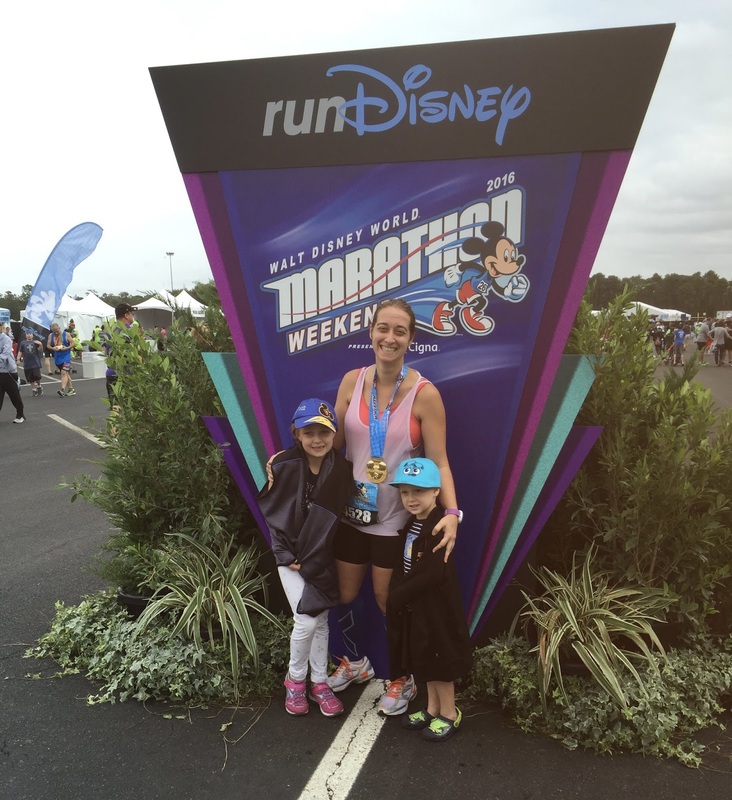 Kristin's first marathon left me feeling awed and inspired. I was moved to tears throughout the day and was so humbled and grateful to be a part of it. In a way I feel guilty that being there for Kristin's big day gave me so much joy because really, it's about her success and victory, but I couldn't help basking in the exhilaration of the day. Being there was simply one of the best experiences and memories of my running life! Kristin pre-race, courtesy of Stephen. She looks excited and ready! Sunday morning, I kept waking up before my alarm. I was just so excited and ready to get to ESPN's Wide World of Sports (miles 17.5 and 19.3); I had been warned that traffic would be ridiculous and that GPS directions wouldn't work because of all the road closures. My hotel was only 10 minutes from WWS, but I gave myself two hours just in case. At WWS extremely early, sitting in my car, way over-excited. Luckily, I had planned ahead. I had all my notes printed and marked so I knew exactly where to see Kristin. I got to WWS around 8am and listened to the DJ go through his spiel a few times. He had figured out how to recycle his material so he could be on the course for seven hours and never run out of things to talk about. My favorite was: "How many first time marathoners do we have out here? How many last time marathoners?" (chuckle chuckle) "You say that now, but this time next year you'll be frantically hitting refresh on the Run Disney website, waiting to sign up." While I waited, I got to see some really inspirational things. 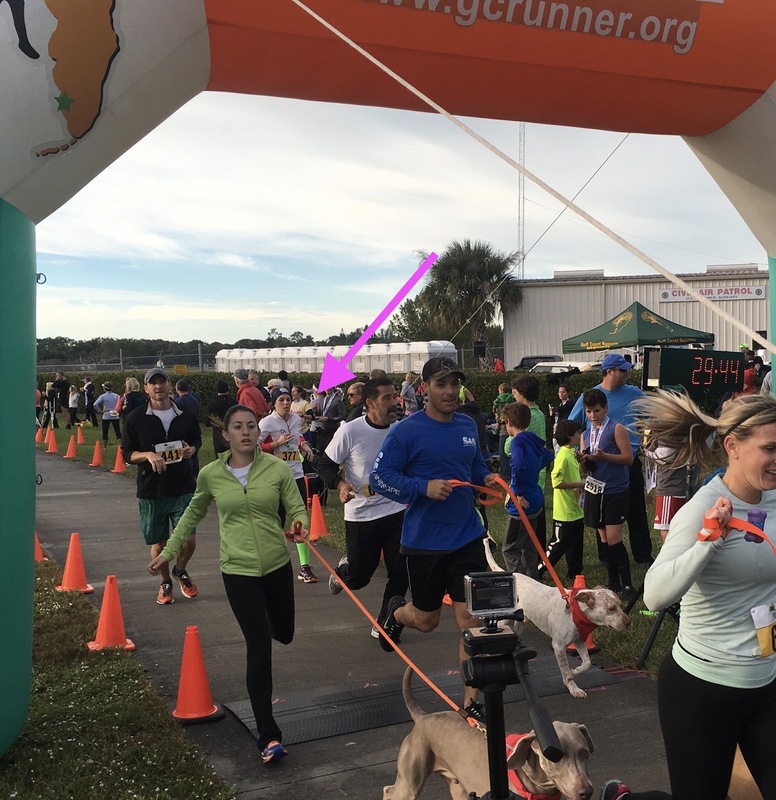 There were cancer survivors and people running in honor of others; I saw a blind runner and his guide (both at mile 17 and at the finish line, which reduced me to tears); I saw people well into their 60s conquering the course. It's truly awesome to spectate a marathon of this size. 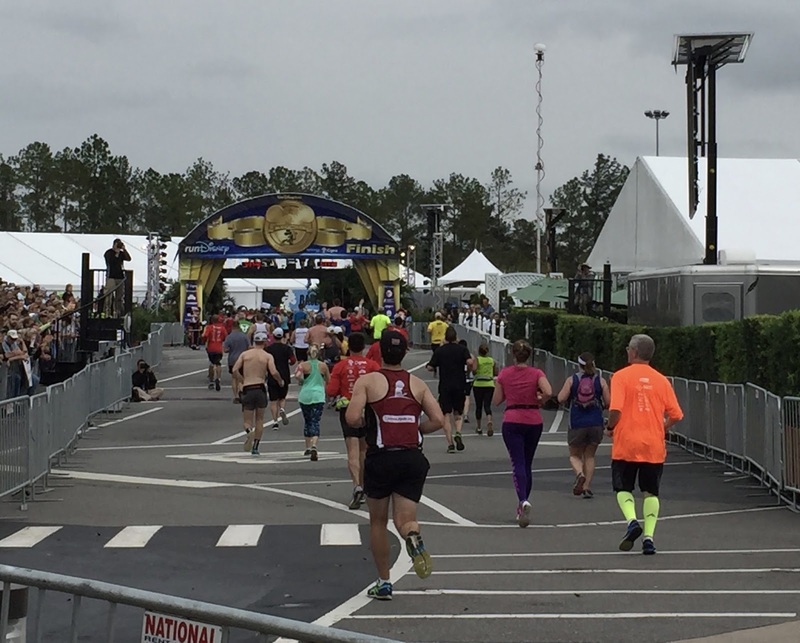 You really do get an idea of how unique each and every story is; what brought those runners out to the start line, and what will bring them to the finish. Each story is inspiring, and I loved being there to witness it. The weather was weird. Overcast and cool (around 70), but very humid (92%). When the sun peeked out, it was hot, but it actually felt really cold when it drifted behind the clouds. 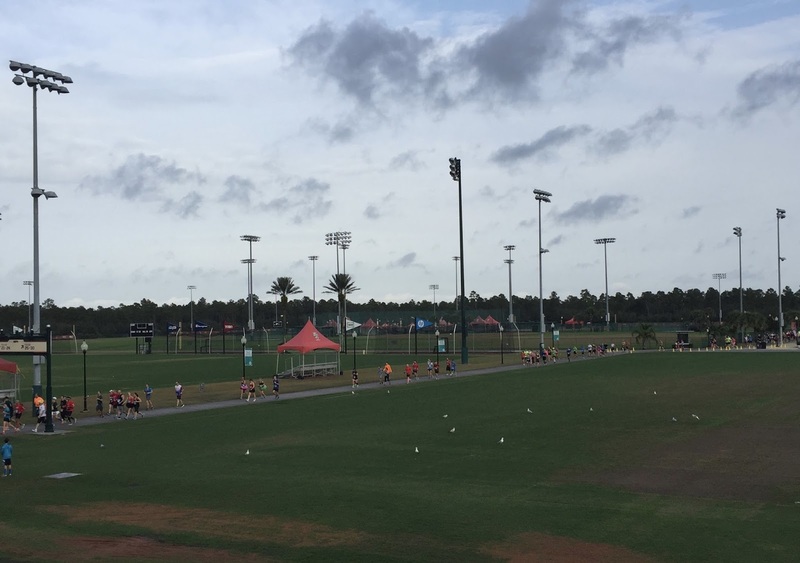 Basically, it was all the best of Florida weather wrapped up into a single day, and the overall effect was a kind of clammy, sweaty feeling. Around 9am I made my way to our first meeting spot. I was terrified I would miss her and texted Kristin's husband a million times ("What if I'm late? What if I miss her here and at 19? I just saw the 5:30 pacer, am I too late?") like a lunatic. I honestly was so, so afraid to let her down. I knew she was counting on me. Finally, I spotted her! I handed her a cup of ice and ran alongside her for a bit. At 17.5 miles in, she looked great! She was keeping a steady pace, but seemed to be tiring out a little bit. I reminded her that she was into single-digits - only 9 miles to go! - and that seemed to lift her spirits a little. Runners entering WWS. You can see how gray the weather was. I left her and darted across the park, grinning like an idiot. I got to mile 19.3 (where I had parked) and waited at what I thought would be a good place to get some pictures. There were banners for the various weekend challenges, and a few runners stopped and I took photos for them. Not long after, I saw Kristin again. 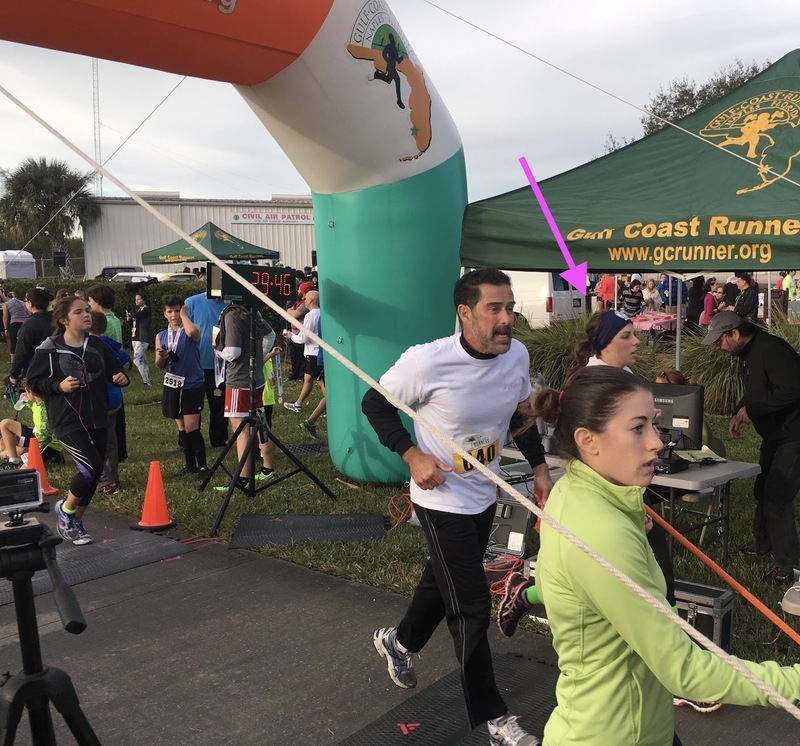 I wasn't able to get pictures after all because she didn't see me in time, so I just hopped back into the race and handed off her Glukos and gum. At this point, she was struggling. She told me she understood what I had meant by the "dark" part of the race. I did my best to shake her out of it and encourage her. Tell your brain to shut up. Your body knows what to do and is ready for this. You can do seven more miles. At that point I had to leave her, but I knew she'd see Stephen again and then the finish line would be there! Kristin leaving me for her final 10k! Buses were going between WWS and Epcot (the finish line) every five minutes. 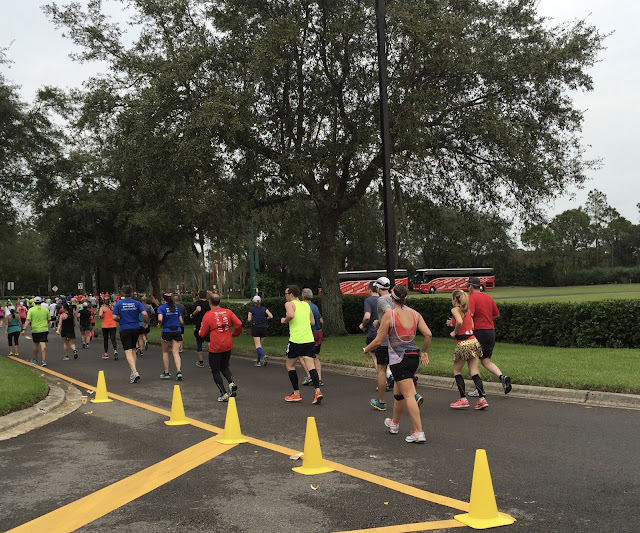 I found the bus parking lot and got in line; ten minutes later I was on my way to the finish. 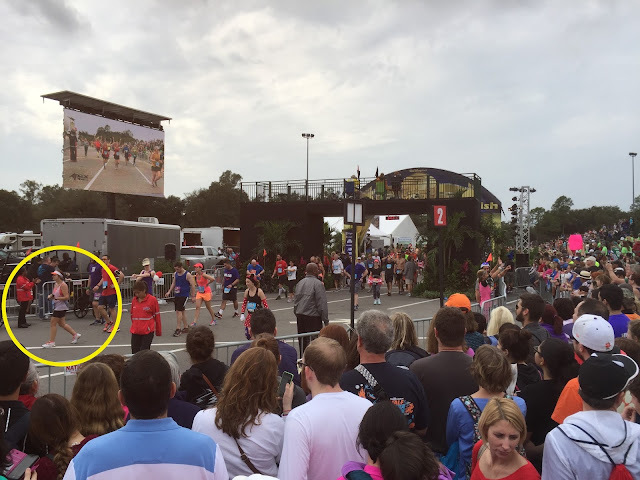 I speed-walked through Epcot, basically pushing people aside, because the buses were pretty far from the finish and I was on a mission. I refused to miss Kristin crossing that finish line. The most crowded finish line I've ever seen. I went through security check to see the finish line, then decided I was too far and wanted to be on the other side. The barricades were set up so people couldn't get near the actual finish chute, and the crowd was eight people deep. But I wasn't going to let my lack of height keep me down. I wove through the crowds and found a spot on the bleachers. I stood on them so I'd have a clear view of the finish line...and immediately knew why I'm unlikely to run a Disney race. People were crossing the line in huge groups, walking, blocking each other, stopping to take photos...It was just a cluster. Unamused by all the people between me and my runner. I knew Kristin's approximate finishing time because I was tracking her on my phone, so I watched the chute like a hawk. Ironically, it was those notifications that made me miss her actually crossing the line. The alert came and I looked down to check my phone, then looked up and immediately and blindly began snapping photos, hoping I'd catch her. Luckily, I did. Kind of. I wound my way back out of the stands and found Kristin sitting on the ground surrounded by family, and I immediately dropped down for the best hug ever. I was grinning wildly, and I kept saying, "You did it!" and she kept saying, "I get it now, I get it." And that's it, isn't it? You really can't get it until you do it. We took some pictures and made our way to the resort buses. Kristin and I sat together on the incredibly smelly bus and rehashed the race a bit. Listening to her talk about her experience was so rewarding. Kristin and her support team. Check out Stephen's awesome shirt. I hung out while Kristin cleaned up and then we had a huge, amazing lunch at the Wilderness Lodge (where she was staying) and Stephen dropped me back at my car so I could head home. 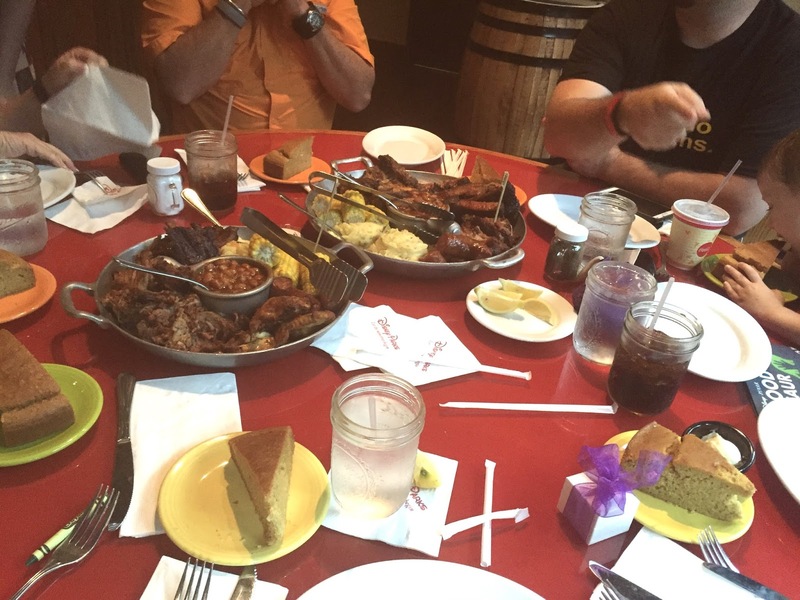 Gluten-free everything, including cornbread and dessert. Best post-race meal ever! The highlight of the day may have been the conversation we had before lunch. 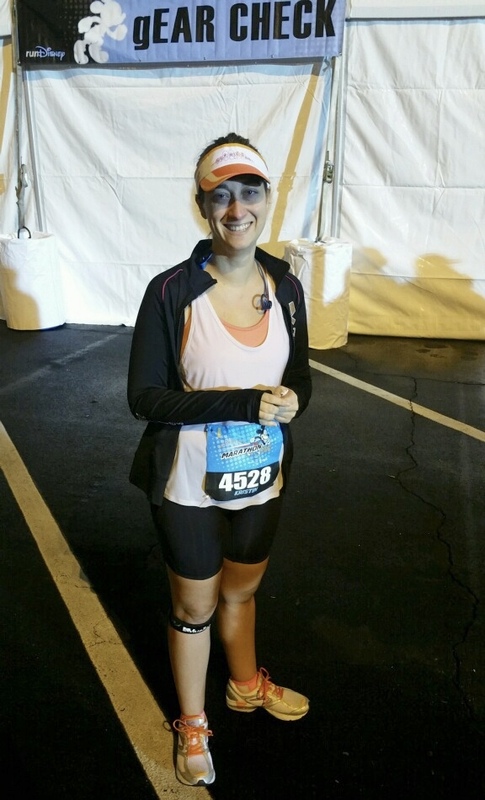 Kristin, still reflecting on what she'd accomplished, said, "When you're around runners, you start to feel like everyone has run a marathon. And knowing that you had done it made me feel like it was the next logical step after running halves. 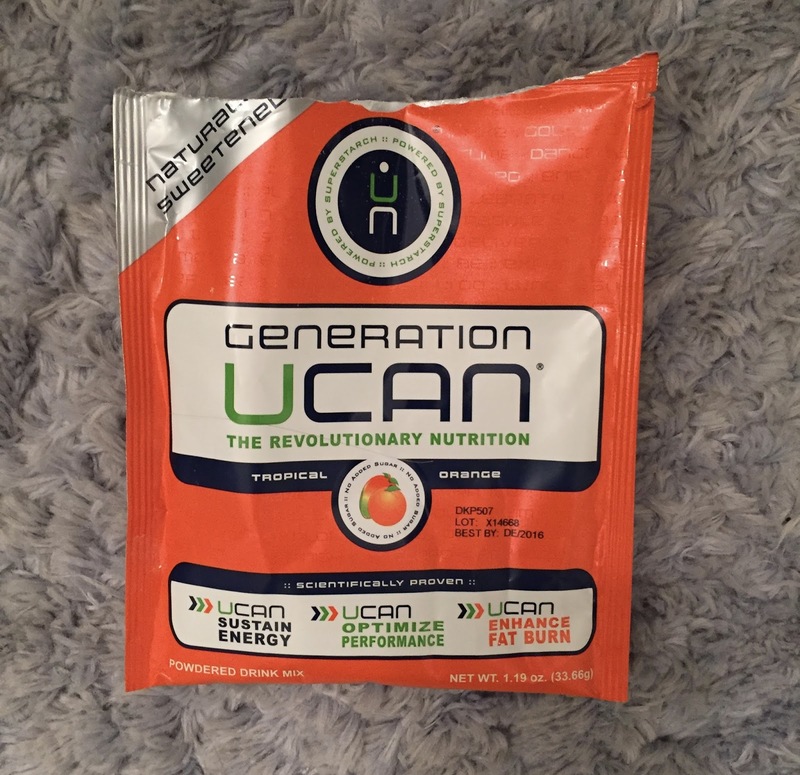 So if you hadn't run a marathon, I never would have even thought about it." To which I replied, "So you're blaming me?" and we laughed. Then she said, "Not blaming. Crediting." 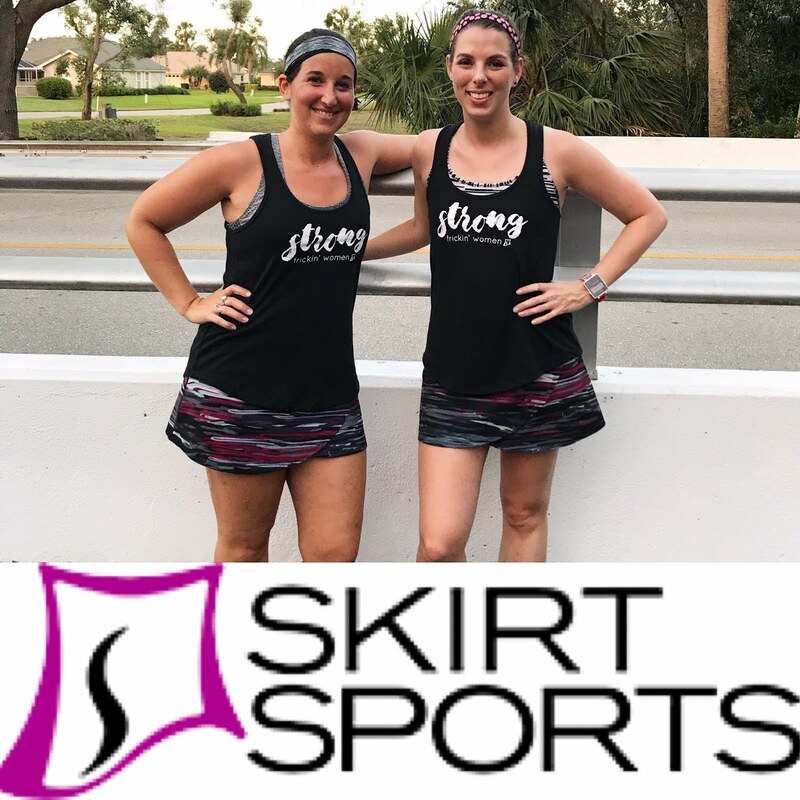 And I can take that compliment and enjoy it, because it really did remind me that you don't have to be a particularly gifted runner to inspire others and help them reach for new goals - goals they may never have even considered otherwise. And really, it felt so good to feel included in such a huge moment. I'm just overwhelmed with gratitude and joy. Kristin deserved to have a million people out on that course supporting her, and I feel so lucky that I was able to be there for her like she's always been there for me. 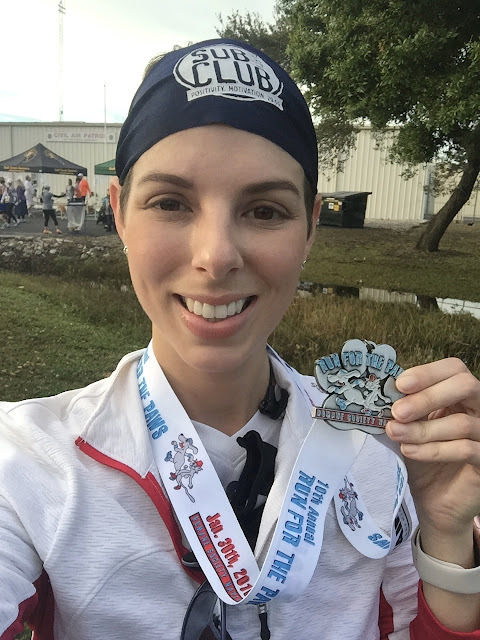 And now, she's enjoying a few days on a cruise with her family and hopefully basking in the glorious afterglow of finishing her first marathon. I'd say she deserves it!